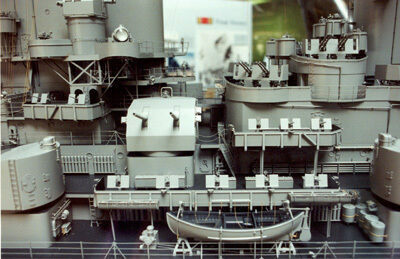 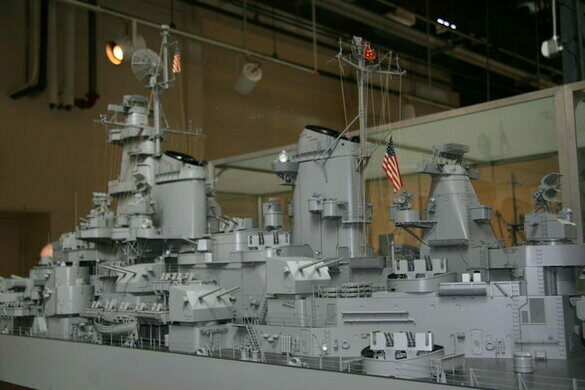 There are countless model warships on display at the U.S. Navy Museum, ranging from wooden paddlewheelers to World War II flattops, but none of these miniature marvels could trade broadsides with the 19-foot-long model of the USS Missouri. 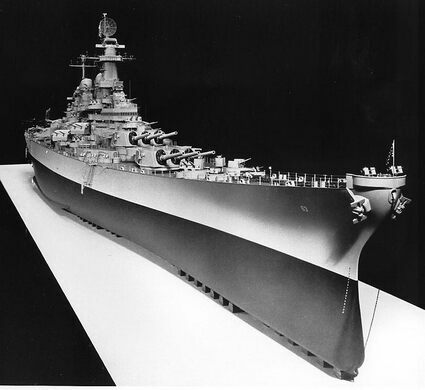 Gibbs & Cox had a team of 16 expert model makers working on the Missouri and finished it in 23 months, well ahead of the three years required to build the full-sized, 887-foot-long battleship! 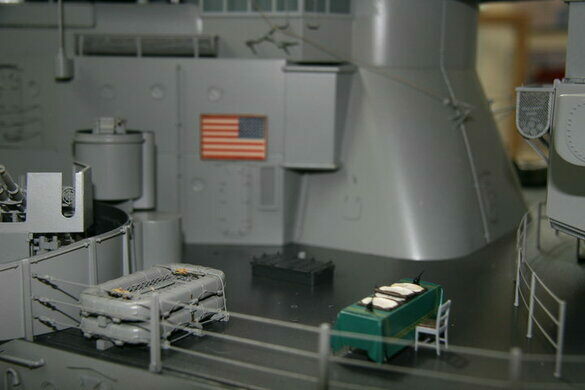 They achieved a level of detail that in places verges on the preposterous, and even the thickness of the gray coat of paint is to scale. 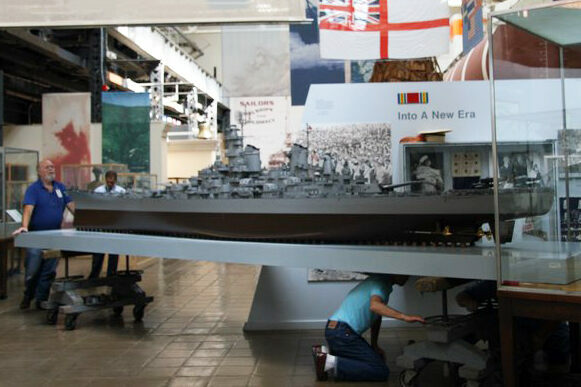 The museum is located on an active military base at the Washington Navy Yard. 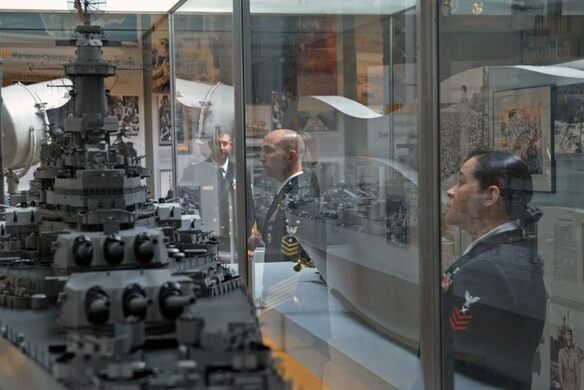 It's open to non-DOD visitors Monday - Friday.